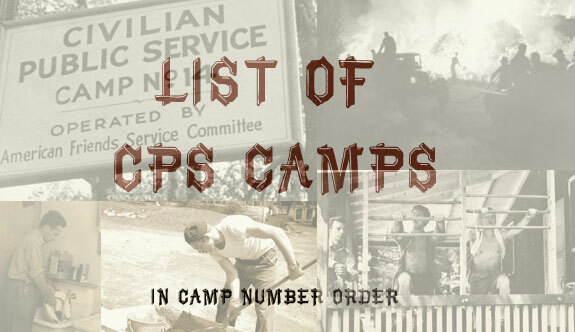 Numbers were assigned to camps as they were established, not necessarily in the order in which the camps were opened. Camp #3 was the first to be opened, in May 1941. Camps #38, 65, 96, 99, 101 & 145 were suspended before they opened. * The name of this town is actually Powellville, but CPS directories and publications referred to it as Powellsville.